Do they have to compromise the integrity of data after migration? Is it possible to export Outlook to Windows Live Mail in bulk at once? Is it possible to export attachments also associated with the emails? Does the software impose any file size limitation during migration from Outlook to Windows Live Mail? Does the tool require any extra application for the migration? Does the software transfer emails from Outlook to Windows Live Mail in bulk? Yes, this tool permits its users to export all the files in bulk also. Does the software allows to delete duplicate emails while performing migration from Outlook to Windows Live Mail? Yes, while exporting emails from Microsoft Outlook to Windows Live Mail a user can select the filter to excludes duplicate emails. Can I export Outlook PST files of more than 2 GB in size to Windows Live Mail using this migrator? Yes, the tool can easily migrate any size Outlook PST file to Windows Live Mail even more than 2 GB size. Does the software automatically detect the location of Outlook PST file? Yes, Microsoft Outlook to Windows Live Mail tool renders a special feature that the tool will search all the files in PST file format automatically to perform the migration. ""Outlook to Windows Live Mail Migrator tool is the most exceptional software that I used to migrate Outlook PST to Windows Live Mail. 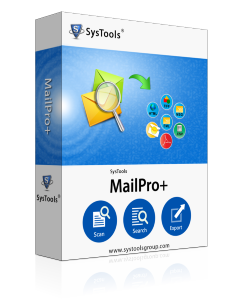 This software is really amazing and exports all emails from Outlook to Live Mail without any hassle. Moreover, I found this tool user-friendly and gives satisfactory results." 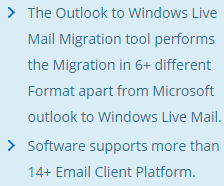 "I never thought migration from Outlook to Windows Live Mail will be so easy. Thanks to this ultimate Outlook to WLM migrator for helping me in such a great way. I was so relaxed when this software helped me efficiently and exports thousands of PST emails messages to Live Mail. Great Work was done by the development team." MS Outlook stores its data files in PST file format, which leads to corruption if its size increases more than 2 GB file size. Moreover, MS Outlook is not free of cost whereas Windows Live Mail is the free utility designed by the developer. Therefore, most of the users want to migrate from Outlook to Windows Live Mail. As the manual process to migrate Microsoft Outlook to Windows Live Mail is very tedious so, one can use this reliable Outlook to Windows Live Mail Exporter. The tool is designed in such a way that even a non-technical user can use it without any expert help.